All change begins with character and personal transformation. Rep. Paul Ryan, R-Wis., chairman of the House Budget Committee, provoked some angry pushback when he claimed that not only is his proposed sweeping revamp of the U.S. budget fiscally sound but also morally sound. 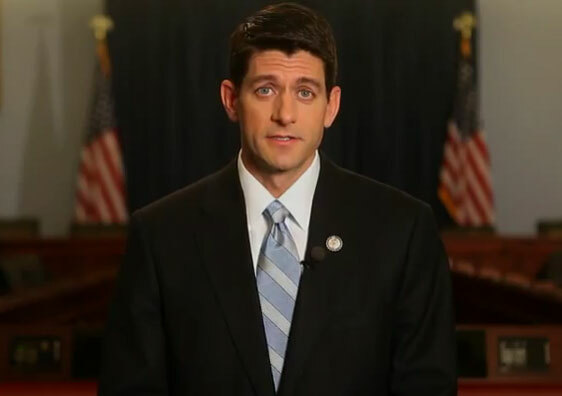 In an interview with the Christian Broadcasting Network, Ryan said he drew inspiration from his Catholic faith. He argued that Catholic priority for caring for the poor should focus on helping folks move out of poverty: "Don't make people dependent on government so they stay stuck in their station in life." Catholics criticizing Ryan don't see it this way. They see him cutting back on welfare programs that focus on the needy. But this is not a new debate, and it's not limited to Catholics. Those on the religious left of all religious persuasions have long been criticizing religious conservatives, claiming they're indifferent to poverty and care only about abortion and homosexuality. It's a critical discussion for our nation today and Ryan deserves credit for casting his proposed reforms in moral as well as economic terms. It provides the opportunity to challenge today's conventional wisdom that morality and economy are separate universes having little to do with each other. I can speak from personal experience going back to my years on welfare. The intent of federal welfare programs might have been to help the poor, but they caused far more damage than benefit. It's no accident that in 1960, according to the Pew Research Center, five years before President Lyndon Johnson signed into law his War on Poverty, 61 percent of black adults were married. By 2008, this was down to 32 percent. In 1960, 2 percent of black children had a parent that had never been married. By 2008, this was up to 41 percent. Social Security's Board of Trustees just issued a devastating annual report. It projected the system going into the red in 2035, three years earlier than predicted last year. The system's long-term unfunded liabilities -- the amount by which projected obligations exceed projected revenues -- are $8.6 trillion, more than half the size of the entire U.S. economy. Discussions about how to fix the system focus on numbers and accounting. But the numbers are symptoms, not causes. The Social Security payments that current retirees get are from the payroll taxes that current workers pay. What is driving the system into bankruptcy is the shrinking number of those working per retiree. In 1950, the average was 16.5 workers per retiree. Now it is 2.9. The trustees report projects it will be down to just two workers for every retiree by 2035. One major factor is we're having fewer children. Fertility rates -- the average number of births per woman -- have fallen dramatically. According to the United Nations, the average U.S. fertility rate from 2005 to 2010 was 40 percent lower than during 1950 to 1955. John Mueller of the Ethics and Public Policy Center argues convincingly of the major impact of legal abortion to this dramatic drop in the ratio of workers to retirees. To solve our national crisis, we need to sort out symptoms from causes. The bankruptcy of our entitlement programs is the symptom. The cause is loss of individual freedom and breakdown of values, personal responsibility and marriage caused by entitlement culture materialism. Paul Ryan is right to see this in moral terms. We must change, and all change begins with character and personal transformation.